We’ve seen it coming and, to be honest, looked forward to it in many ways. A tablet that can act as your sole computing device has been the dream and desire of many users since the time of the original iPad. I, for one, tried and failed to work from the original iPad as my only computer. There is something infinitely compelling about a thin, light, and portable device that can still step up and get work done. I can’t really put words to why that is interesting, I just know that it is and that others really want this to happen as well. Just look around on the internet for articles and videos about using the newest iPad Pro as a laptop replacement. There are tons of them because there are tons of users who are interested in a tablet that can act as a full-fledged laptop. If reviews are to be believed, the new iPad swings and misses for most users. Equally, the Surface Pro 6 (Microsoft’s latest stab at the tablet to replace your laptop) doesn’t quite measure up, either. So, what is missing? For most, the iPad fails at productivity while being pretty great at creating tasks content like image and video editing. However, the Surface line falls flat when used as a tablet, but kills it with productivity as a laptop. Neither really gets the tablet/laptop combo just right, though. In the middle of that argument, the Google Pixel Slate enters and hopes to nail this ever-elusive formula. Does it succeed? Well, yes and no. We’re going to talk through the hardware of the Pixel Slate and, after doing so, talk about all the ways this device kills it and falls flat at the same time. Stick with us to the end as we unpack all the ways this device is both great and, for the time being, a bit limited. Let’s get started. As a #madeByGoogle device, the Pixel Slate delivers on all fronts. Part of the Pixel brand is about pushing manufacturers forward, and the Pixel Slate does that at every single turn. From the smooth glass front to the perfectly-sized bezels to the soft-touch aluminum back, the Pixel Slate exudes quality. The glass up front rolls ever so gently over the sides to create a symmetrical feel to the back of the device and makes the whole feel reminiscent of the latest Pixel phone offerings from Google. The tablet is light at 1.6 pounds and extremely thin, too, at only 7mm in width. The combination of weight, thinness, and small bezels make holding this device in your hands an absolute pleasure. Rigid, substantial and solid are the words that come to mind when considering the Slate, and I think that is right where Google was likely aiming. Add to this the fact that Google made the Slate perfectly symmetrical in regard to weighting (you can balance it with one finger right in the middle) and this tablet is simply a pleasure to hold. My only real nag is the fingerprint-prone backside. The soft-touch aluminum on the back of the device feels fantastic paired up with the rounded edges all around, but it picks up smudges pretty quickly. If this were simply a clamshell or convertible Chromebook, that probably isn’t an issue. However, this is a tablet, and tablets are meant to be held, so you’ll end up wiping it down pretty frequently. If the Pixel Slate kills it in any area (it clearly does in multiple areas), the screen would definitely be one of them. The 3:2, 12.3-inch, 3000×2000 pixel display is color-rich, bright and beautiful from all angles. Google described the Molecular Display at their press event and I’d refer you there for a technical understanding of what they are doing, here. What I can tell you from using it is everything looks great on this screen. Gaming, videos, editing websites, reading articles…anything I do looks incredible on this display. If you are comparing it against the iPad Pro, it has more pixels but is lower on refresh rate. The 120hz screen on the iPad is smooth as silk, but the Slate’s display never made me even consider what another screen might bring to the table. It is simply fantastic to look at and I can’t imagine too many people wishing for much else when looking into it. I’ve said it before, but 3:2 makes any screen feel bigger than it is. Working from the Slate has been just as easy and effortless as working from the Pixelbook with regard to the display and overall surface area. There’s no way that I would want to go back to 16:9 display on this size. Sure, when you get to 14 and 15-inch devices that changes, but for smaller screens, 3:2 just wins. We don’t talk much about cameras on Chromebooks, but the Slate is a bit of a different beast. Sure, there have been a few devices with decent cameras this year (The Samsung Chromebook Plus V2 and the HP Chromebook x2), but taking photos with them has still been pretty terrible. The Pixel Slate has a couple decent cameras, one on the front and one around back, both at 8MP. The front camera boasts a wide angle for Duo calls and looks much better than what we’re used to seeing from webcams on Chromebooks. The shooter around back still struggles to capture great pics, but I think much of that is due to the emerging software. Google Camera just showed up on Chromebook recently, so there are clearly things to work out. For what it’s worth, portrait mode works and does a decent job if taking selfies with some fake bokeh is your thing. Just don’t expect to replace your phone camera at this point and you’ll probably be pleasantly surprised by the Slate’s cameras. The Pixel Slate moves along much as expected in our review unit. The Core i5 processor paired with 8GB of RAM and 128GB of internal storage simply didn’t have any issue doing anything I wanted to do. From Android games to Google Docs and multitasking, the Pixel Slate performed just as I would expect from a device with high-end internals. The only real jank comes from the overview mode, but that has had issue for a few versions of Chrome OS now. There are bug reports out there and the overall smoothness of animation is being worked on, so it is almost not worth a mention at this point. I would expect the Core m3 version to perform well, too, if I’m basing my judgement on the excellent HP Chromebook x2. That device only has 4GB of RAM and the $799 Core m3 Slate comes equipped with 8GB, so I’m assuming it hums along quite nicely. The same expectation would go for the Core i7 model of the Pixel Slate that comes equipped with 256GB of storage and 16GB of RAM. Without the expected NVMe storage on this configuration, however, the price hike just seems too much to recommend to anyone at this point. What I can’t confidently recommend at this point is the Celeron model. Sure, it is much cheaper, but it is also the same processor in the Samsung Chromebook Plus V2, and I wasn’t exactly over the moon with that device’s performance. Sure, if you keep it simple, that processor will suffice. But if you are looking for more than a tablet experience with the Pixel Slate, you’ll need more than this base-level processor has to offer. Battery life is a winner, here, too. As long as you aren’t cranking up the screen to 100%, you can easily cruise through a full day of use. I generally kept the display around 60-70% and I was routinely on track to get 9-10 hours. Of course, running tons of apps and games will decrease this number, but overall the Pixel Slate is a great performer in the battery category. In the event that this is the first time seeing these prices, I’ll give you a second to recover from the sticker shock. This one is pricey. There’s simply no getting around that. Sure, if you only buy the tablet portion, the prices aren’t terrible. But Google is making a play at the tablet/desktop device here, and you absolutely need a keyboard/trackpad in order to pull that off. Without a keyboard portion, you simply have a Chrome OS tablet in your hands, and I don’t think that is the full intention of this device at all. Google wants you to have both a great tablet and desktop experience, and that cannot happen without a keyboard accessory. So, factor that in with your purchase. You aren’t just buying the Pixel Slate. You’ll need the keyboard Google sells separately as well to get the full experience. So, let’s talk about those. Yeah, I said “those” up there for a reason. There are a couple options on offer here and both have positives and negatives with them. Right now, those options are the Google-made Pixel Slate Keyboard and the Brydge G-Type Keyboard. There will likely be others on offer over time and, as always, almost any wired or wireless keyboard will work with this Chromebook. I’ve been using my Logitech K780 with no issues whatsoever. However, when it comes to pulling the device out of the bag and getting to work, you simply need an attached keyboard and trackpad. Before we talk about keyboard/trackpads, I want to quickly mention the buttons on the tablet itself. With convertibles, I rarely end up using the power and volume rockers at all. With the Pixel Slate, I use them constantly. The volume rocker is right there on the left site when I’m using it as a tablet or as a laptop, so it is insanely handy to just reach up and adjust things. Both the volume and power buttons have great clicky-ness and feel great. Speaking of the power button, let’s not forget that this is the first Chrome OS device with biometric authentication. I love being able to reach up and unlock my device with my fingerprint. I’ve become so accustomed to it on my phone that I’ve long lamented the lack of fingerprint access on Chromebooks. This feature alone, while likely only unique for a short time, makes me always want to use the Pixel Slate on a daily basis. Now, on to the keyboards. The first on offer is the Google-made Pixel Slate Keyboard. The keys are round, quiet, have great travel and awesome feedback. Plus, the thing just looks amazing when the backlight is on. The glass trackpad is as good as any I’ve used and the whole thing simply feels just like using the Pixelbook when on a desk. The casing itself is rigid and the keyboard deck, despite being pretty thin, is sturdy and substantial feeling. Continuing around back, the magnetic casing is pretty unique as well, keeping snug on the device until you need it for a kickstand. When you do, the upper potion simply slides down as much or as little as you like to create just the right viewing angle. It comes off a bit more laptop-like because of this and I really like what Google has done with this case in that regard. Additionally, you can flip the keyboard back for presentation, tent and pseudo-tablet modes without removing it at all. It doesn’t perform those tasks quite as well as a convertible, but they do all work. Here’s what I’m not fond of, however. The keyboard portion doesn’t bond to the tablet at all, leaving a ton of lateral movement possible when the whole thing isn’t on a flat, stable surface like a table. As I said above, when on a table or desk, I have zero complaints. But, many of us use our Chromebooks in our laps, on the couch and standing from time to time. It is these scenarios where this case just breaks down completely. On your lap, the keyboard flexes to the left and right and almost feels impossible to get aligned with the screen. If positioned wrong, too much pressure from your palms will also trigger a click of the trackpad. All this can be worked around, but it takes some adjusting. I spent a few days forcing myself to work with this case and keyboard instead of returning to the safety of my Pixelbook. After some time and changed behaviors, I was able to adjust and make it all work. I was happy about that because I really like the protection the Google Pixel Slate Keyboard offers and I love the keyboard and trackpad. One other gripe I have with the case is the magnet that closed the device. The magnets around back that are responsible for the adjustable angles of the display are strong and solid. The magnets that hold the keyboard to the screen when the whole thing is shut leave a lot to be desired. Instead of a firm clasp when closed, it almost feels like the case has no magnetization at all holding it closed. When you hold it down by your side, the keyboard shifts across the screen constantly. Check out the video for this if that doesn’t makes sense. While not a deal breaker, it was annoying and took some time to get used to, which again required more effort to accommodate yet another mild inconvenience in the name of working from a tablet. I suppose the question, then, is “is it worth the effort?” We’ll get to that in a minute, I promise. The other option on offer is the Brydge G-Type Keyboard. This is a device made by Brydge in full collaboration with Google specifically for the Pixel Slate. We’re planning a full review of this thing all on it’s own, but the experience with the Pixel Slate is quite different with this keyboard attached. The G-Type allows the Slate to slide into two grips that snugly hold the tablet in place and allow for 180 degrees of rotation. At no point was I even remotely worried about the Slate slipping out. They allow you to close the entire device up just like a clamshell, reverse it like a convertible, and easily detach it for tablet use. When closed up, it literally looks like you have to Pixel Slates laying on one another. The thing blends in perfectly. The keyboard is great with fantastic travel, click, and backlighting while the trackpad is glass and as high-quality as you could ask for. From an input perspective, it is just about perfect. My only real hangups are the fact that it is Bluetooth and that it limits protection. As we all know, Bluetooth on Chromebooks is hit or miss. From both ends, this is being worked on. Both the Chrome OS devs and the folks at Brydge are working on fixes, but that doesn’t make me feel very secure at this point. For what it’s worth, I had no issue with connectivity while using the G-Type. Once I realized that you need to press a key on the keyboard a couple times if your Slate has been asleep for more than 15 minutes, I didn’t have any problems. With Bluetooth, however, you lose the cool factor of being able to yank the tablet free in one motion. Getting the Slate loose takes a second and once you manage to get it loose, you still need to turn off the keyboard manually to get into tablet mode, and this can cause a bit of confusion for users. Simply plucking the tablet out of the keyboard won’t trigger the Slate that it has now become a tablet since there’s no real way for it to know. Keep this in mind with peripherals, too. When you have a mouse or keyboard paired up, the Slate will head to desktop mode and much of the tablet experience (stuff like screen rotation and split-screen multitasking) won’t work. Just turn off those accessories and you’ll be good to go. All that said, with Google’s in-house solution, you simply need to pull the magnetic bond free and you are off and running. In that way, their solution is much more elegant. That second hangup is a real one as well. With the way the G-Type connects, having a case on your Slate is a no-go. Google’s case acts as an actual case when closed up, so if using the Pixel Slate on the go and carrying it without a bag is important to you, this is an important point. Overall, I’ve come around on using the Google Slate keyboard and am learning ways to use it in those more challenging situations. Again, though, the question remains as to whether or not this is all worth it. All of these trade-offs and issues I’ve been referencing aren’t a problem on the Pixelbook. But the Pixelbook makes a pretty poor tablet. So, we have to ask, is having a Chrome OS tablet worth it? Let’s keep moving and we’ll hit that in a minute. Before we move on, though, a quick mention of the Pixelbook Pen. It is the same pen that shipped a year ago with the Pixelbook, just painted black. It still behaves much the same way and is hit or miss on support from apps across the board. I still hate that it doesn’t have a place to live on or in the device, too. Sure, the size of it precludes it being stored inside the Slate, but I do wish Google would have included a pen loop on the keyboard or some sort of magnetic solution like the iPad Pro utilizes. Without either option, though, I still find myself misplacing or forgetting the pen when I actually want to use it. And, with how well it works in apps like Squid, that is a shame. Ports on the Pixel Slate are minimal. You simply get 2 USB-C ports. That is all. No headphones, no SD cards, no display ports. In the realm of tablets, this is still more than most, but the exclusion of the headphone jack just feels silly. I’m with Wired in asking what we did to have our headphone jacks taken away. What is the point, here? The USB-C ports do all you need, from charging to display to audio out, the Pixel Slate makes the most out of it’s two ports. After all, this is the USB-C future we’re all wanting, right? One port to rule them all, right? For me, that’s been the case. I keep my USB-C or Bluetooth headphones around at all times, I connect to my displays via USB-C, and I’ve become accustom to using an adapter if I need a USB-A device hooked up. I don’t fault Google for this approach, but you need to know that if you plan on using the Slate as your primary device, you need to be all-in with USB-C.
Again, we have to ask the question: is having a portable, light, thin and elegant tablet device worth the trade-off? Each person will answer that differently, but the part of the Slate I think everyone will agree on is the speakers. The front-firing speakers on this thing are simply fantastic. I’ve used them exclusively during many work sessions since having the Slate just because I enjoy the sound so much. The create wide, rich sound when you are in front of them that I’ve never experienced from a tablet before. I’ve listened to great iPad speakers and I’d put these up against anything on the market. I simply love listening to content on this device. As a matter of fact, I’ve consumed quite a bit of content without headphones or wireless speakers just because the experience is so good. If you are wanting a tablet device for movies, games and music, the Slate absolutely delivers on that front. One of my more memorable experiences has been playing Monument Valley 2. The soundtrack and sound effects simply make the most of the Slate’s speakers and the entire experience was simply sublime. I can’t overstate how impressed I am with these speakers. They are my favorite. So, we come to it. Is this device worth the money? Should you buy it? Will you love it? Sometimes as a reviewer, this is easy. Sometimes it is insanely tough. The Slate is definitely the latter. Let me explain. I think the Pixel Slate is great to use and, with some adjustments, this device is fantastic as both a laptop and a tablet. Is it the best laptop? Nope. Regardless of the keyboard situation, you’ll probably be in a better position with a dedicated clamshell device if you are simply looking for a laptop. The Pixelbook comes to mind. It is still fantastic and as a laptop, I can’t think of a better device. Is this the best tablet? No, not really. I don’t own an iPad Pro, but I do have the newest iPad. I don’t use it that often because I don’t use tablets that often. If I loved tablets, though, I’d have to say the tablet experience on iPad is better than what any Chrome OS device can currently offer. So, if this isn’t the best laptop or best tablet, why should you buy it? The answer to that lies in what comes next. If the past is any marker, you can fully expect Google to continue investing heavily in the software needed to make the Slate a great device. Consider the Pixelbook when it launched. As a convertible with Android apps, many people were skeptical of the price tag and the entire Android experience on Chrome OS. Fast forward a year and Pixelbooks are selling well and they’ve pushed the market forward. We have several high quality Chromebooks now on offer that simply wouldn’t exist without the Pixelbook. Once the Pixelbook hit the market, other manufacturers knew Google was serious about convertible Chromebooks with Android apps. They began working on similar devices with great screens, more memory, more storage, better keyboards, and better build quality. Now we have devices like the HP Chromebook x2, Dell Inspiron Chromebook, Acer Chromebook Spin 13, HP Chromebook x360, and the Lenovo Yoga Chromebook. All of those devices exist because the Pixelbook cleared the path and set the trend. I believe the Pixel Slate is a device that stands ready to do the same thing in 2019. Other than the Acer Chromebook Tab 10, there are no Chrome OS tablets. Part of that is due to the software limitations up to just recently with Chrome OS. But part of that is due to Google not fully committing to the development of Chrome OS as a tablet OS. Sure, it does the desktop thing quite well, but being optimized for tablet use hasn’t really been a major focus until just recently. Now, Google not only has the software development happening, they have a piece of hardware driving that development forward. The Pixel Slate is a trade off some consumers won’t want just yet. You might be one of those. That’s OK. I firmly believe that in 6 months from now, we’re going to see a slew of Chrome OS tablets on the market from every manufacturer and they’ll all be available because the Pixel Slate existed first. 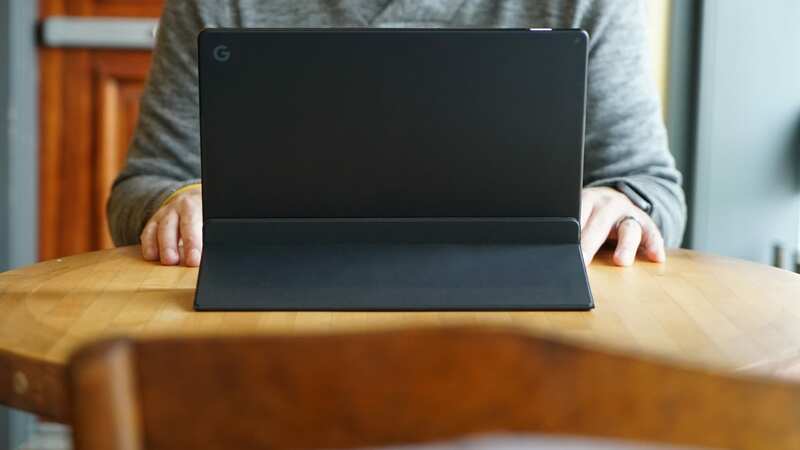 The Slate is a clear beacon to manufacturers that Google is serious about developing Chrome OS from both a desktop and tablet angle. It is also a beacon to software developers. With a flagship device like the Slate on the market, devs that have considered making their Android apps better for tablets now have a reason to do so. As those devs make better apps and Chrome OS gets better on tablets, the entire Pixel Slate experience will just get better and make more sense along the way. The Pixel Slate may not sell millions of units on its own, but it will drive the development of multiple tablet Chrome OS devices from multiple manufacturers over the course of the next year. As Google develops Chrome OS in this way, the Pixel Slate will be on the cutting edge of all those changes. If you are a person who likes seeing the newest features first, the Slate is for you. If you are the type of person who values high-quality hardware, the Slate is for you. If you are a person who sees value in what will develop over time, the Slate is for you. Is the Slate the perfect device, iPad Pro/Surface Pro killer, Pixelbook heir-apparent? Not yet, it isn’t. I’ve outlined the flaws and I’ve clearly stated that the iPad and Surface do things better for now.